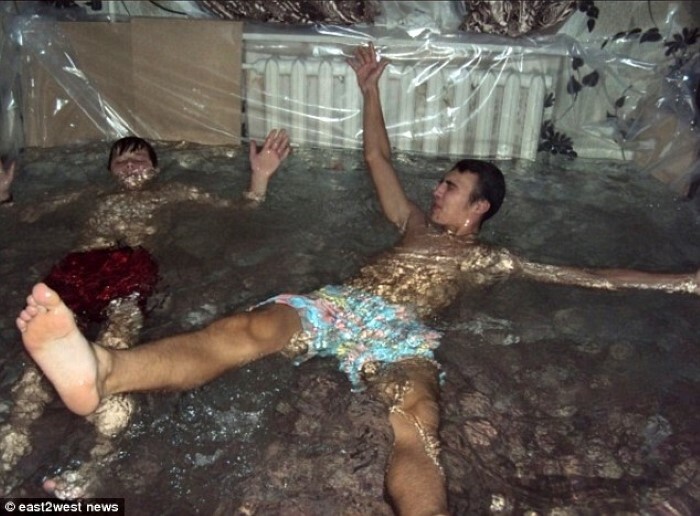 Russian Teens Turn Their Parent’s Living Room Into a SWIMMING POOL!!! Is there a word for something that’s both BRILLIANT and yet ABSOLUTELY UNBELIEVABLY STUPID at the same time? Only if there is, instead of the words you’re currently reading, we should really just copy and paste that word a thousand times for this story. 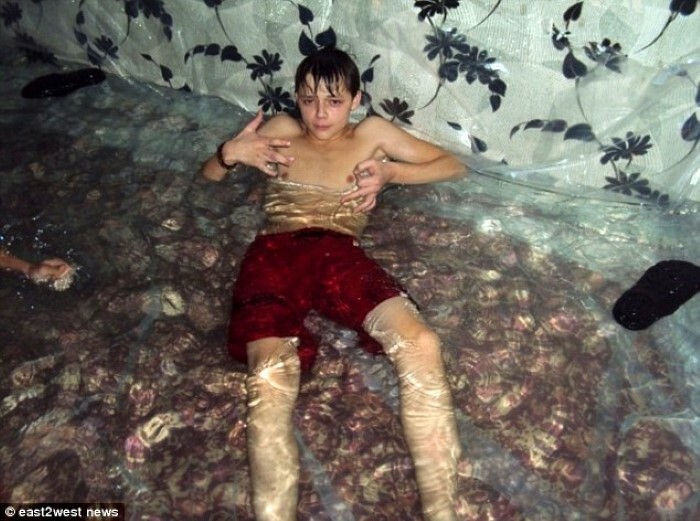 Picture the scene, a gang of teenagers in a city just outside of Moscow are caught up, like everyone else, in the city’s heat wave. 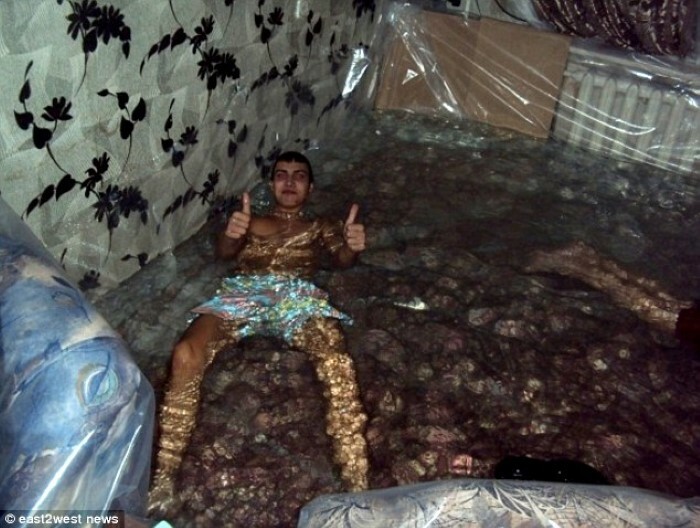 But, unlike everyone else, they decide to make their own swimming pool. 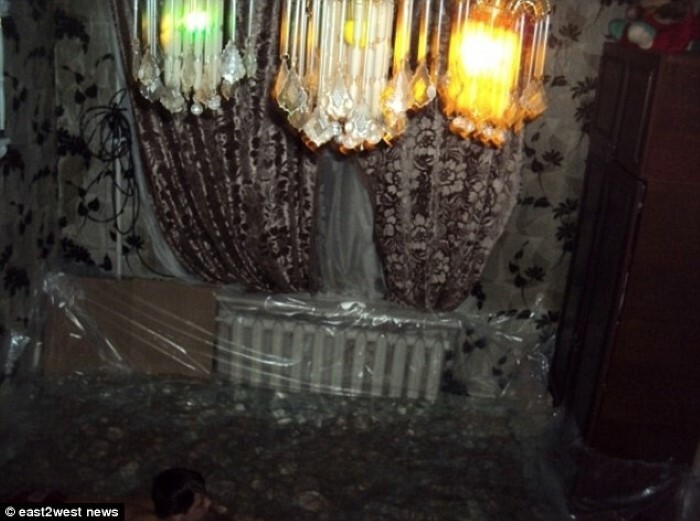 Using one of their living rooms. It’s not known whether they had permission for the project, but let’s be serious about it… OF COURSE THEY DIDN’T! This is probably the absolute epitome of the the idea of ‘thinking outside the box’, isn’t it? 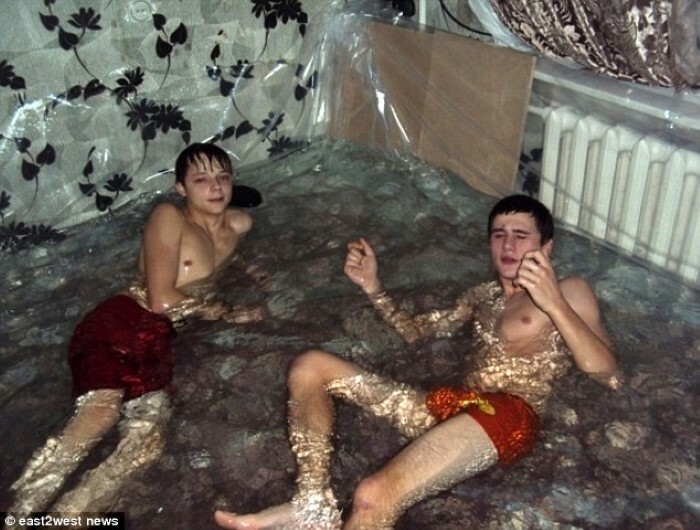 The lads posted the photos on Russian social networks, but didn’t reveal quite how they planned to get the water back out again! Nor did they mention whether any of them got busted for it! Well done, boys. We lovin’ your style. Молодцы! Previous articleJason Statham Nearly DIES As ‘Truck Over 60ft Cliff’ Stunt Goes Badly Wrong! Next articleOUCH. Don’t Tailgate a JCB Digger When You’re a Cyclist… This Painful Video Demonstrates Why!